My quest to get the Encyclopedia of Science Fiction’s China entries ship-shape continues, with the addition of the latest Galaxy Awards, announced this month, including big wins for Wang Jinkang and Chen Qiufan. Wang gets 10,000 yuan (about £1,000) prize money, which makes a big difference in a country where authors get paid, can you believe it, even worse money than they do in Britain. 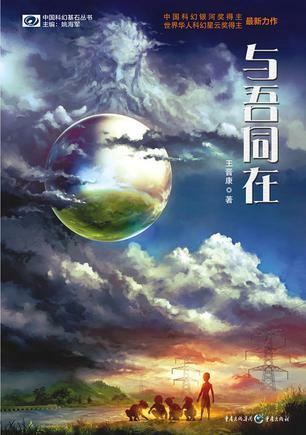 If Chinese SF is your thing, I also draw your attention to the new, utterly massive entry on Ye Yonglie, which helps tie a lot of the new Chinese material together. 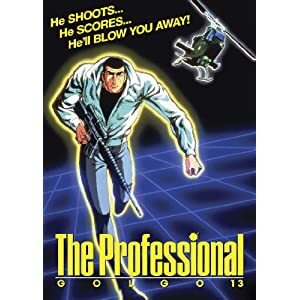 So, apparently the new US release of Golgo 13 includes the commentary track that I recorded for Manga Entertainment in 2007. Very glad to see it getting another airing, particularly since two of my commentary tracks were once dropped from a US release because a timid distributor thought Americans wouldn’t get my sense of humour. More details on my other commentary tracks can be found here. The Manga UK podcast is back for its seventh episode, in which Jerome Mazandarani wins friends and influences people in Norwich, Rory Doona discusses the world of Know Your Anime, Andrew Hewson sobs in the corner and Jonathan Clements reveals the inner workings of the Happiness Project. Meanwhile, Jeremy Graves can’t get enough Princess Jellyfist. Start – 00:03:26 Pre-show chatter including the Contemporary Japanese Media symposium in Norwich. 00:03:26 – 00:15:04 Cliffhanger question answered — what’s changed about anime and fans in the UK? Includes a gratuitous plug for the new translation of the Art of War. 00:15:04 – 00:44:56 Gangnam style, Manga UK news + September releases, Rory speaks, although not for long. 00:44:56 – 1:04:20 Pay-per-view for Initial D, Anime & the Oscars, the zen question regarding the difference between coming third and coming fourth. 1:04:20 – 1:54:15 [End] Ask Manga UK, including details of the Bandai Europe piranha tank and jibes directed at people called Tony and companies called Sony. Available to download now, or find it and an archive of previous shows at our iTunes page. We might consider the degree to which viewers respond to what they think is on the screen – a possible issue of both ignorance and aesthetics, not in a historical sense, but a perceptual one. When Lurçat (1981: 25-6) asks her child interviewees if the ‘giant robot’ Goldorak really exists, she receives a dizzying array of responses. Lurçat herself notes (1981: 25) that the question is ambiguous – there is, after all, such a thing as Goldorak on television, and even toys that bear its name. It has both a ‘materiality’ and ‘an existence within the animated spectacle’. The children’s replies cannot even agree on the material of Goldorak’s construction, claiming that it is made of stone, or of wood, or is ‘a robot’. 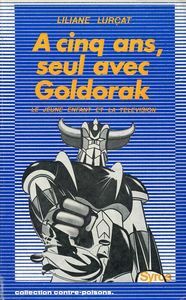 Tellingly, one boy calls Goldorak a ‘marionette’ and eight of Lurçat’s respondents claim that Goldorak is ‘a man in disguise’ – either a reference to the pilot of the machine within the show, or perhaps even an indicator that the respondents were not all that sure which show they were supposed to be discussing. At the risk of injecting a note of snide hypercriticality into the debate, not one of Lurçat’s four-year-old interviewees points out to their adult questioner that Goldorak was not actually a ‘robot’ at all, but in fact a ‘mecha‘ or pilotable machine. Acuff and Reiher (1997: 69), suggest that children under seven are not mentally equipped to understand that Goldorak is a machine operated by human agency, but that is part of Lurçat’s point – that whatever fine distinctions or equivocations an older viewer might present, the youngest audience sector sees something quite different, and indeed rather terrifying. Lurçat’s research remains valuable three decades later, in part because few others have concentrated so exactingly on the responses of the child viewer to a single anime. We might suggest that there are elements of the Hawthorne effect here, which is to say that the very fact that the respondents were the subject of an experiment led them to articulate positions that would not have otherwise troubled them. This is not to detract from Lurçat’s achievement; even if some of her respondents merely give the answer they thought they should, Lurçat’s collated responses provocatively argue that a television can be a horrific device that invades the sanctity of childhood. Lurçat’s study is also notable in that the word ‘Japan’ is not mentioned at any point. 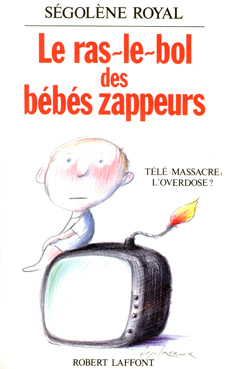 Unlike Ségolène Royal’s politically motivated tract, Le ras-le-bol des bébé zappeurs (1989), which articulates media violence as an unwelcome foreign import in France, Lurçat entirely ignores the nationality of her cartoon subject. True to the formalism of Reader-Response, Lurçat spends no time wondering how Goldorak came to be, who made it, or what kind of channel it has landed on. Indeed, she does not even explain what Goldorak is, apparently expecting her readership to already know its plot and themes; readers that do not may only interpret them through the stumbling explanations of the infant interviewees. Jonathan Clements is the author of Schoolgirl Milky Crisis: Adventures in the Anime and Manga Trade. The new, free, online edition of the Encyclopedia of Science Fiction has just won the Hugo Award for Best Related Book. I take some small part of the glory, having written some 100,000 words of it. Which sounds impressive until you realise that the whole thing is already at 3.7 million words, and still growing. This new edition incorporates substantially more information on China and Japan. to the extent of an entire book-within-a-book on such subjects as mecha and the Seiun Awards, and authors such as Liu Cixin and Wei Yahua. Best of all, it includes the magical Incoming button, which not only tells you all the entries that link *to* the entry you were looking at, but also formats a reference for a researcher’s bibliography.